Naturally the airport in Vilnius is the centre of intensive movement to and from which thousands of people travel every day. The range of transport means they use partially characterises the whole system of city transport. The latest research has revealed a significantly higher passengers’ confidence in Vilnius public transport over the last seven years, a press release from Lietuvos Oro Uostai states. "For several years we have been aiming at facilitating connection with Vilnius Airport for our passengers and creating the best possible conditions for arriving at and leaving the airport using any means of transport. The growth of passengers using public transport shows that people are satisfied with the routes and schedules of city buses and they stop seeing a trip to and from the airport as a challenge," states Dainius Čiuplys, Director of Vilnius Airport. Considering the ways of leaving Vilnius Airport, the results of the survey* carried out this September show that returning passengers are most frequently given a ride by their friends, family members or colleagues. This method of leaving Vilnius Airport is popular among 39 percent of the participants in the survey. Public transport is the second most popular means chosen by 11.9 percent of the respondents. Other services are ranked in the following way: using ridesharing or taxi services (10.6 percent), own or company cars (10.3 percent) and a taxi from the terminal (9.5 percent). The biggest change is observed in the attitude towards public transport. In the survey** carried out in 2011 only 3 percent of passengers chose city buses for traveling from Vilnius Airport. This shows a fourfold increase in such passengers by this year. "Buses No. 3G, No.1, No.2, No.88, No. 88N stop at the airport bus stop with an average interval of 4 minutes between departures. The buses of the abovementioned routes take passengers from the airport to the city centre or the station, the Old Town, Naujamiestis or the so-called New Centre on the right bank of the Neris River, Šeškinė, Žirmūnai and many other districts of Vilnius in 30 minutes. Besides, routes No. 88 and No. 88N, serviced exclusively by new buses, have become high-speed connections between the airport and the New Centre and this ensures more convenient connection with the city centre for Vilnius residents and its guests," states Modesta Gusarovienė, Director of ME "Susisiekimo paslaugos". After the renovation of the airport approaches in 2017, the former public transport stop was moved closer to the entrance. The arriving passengers find public transport buses right behind the doors of the arrival terminal. The passengers leaving the capital also travel easier: the distance they have to make to the departure hall has significantly shortened. According to Dainius Čiuplys, there are plans to improve connection between Vilnius Airport and the city centre searching for synergy with AB "Lietuvos geležinkeliai". "Today only 3.2 percent of passengers leave the airport by train despite the fact that the train halt from which one can reach Vilnius Central Railway Station is located only 200 meters from the airport terminal. We believe this alternative to be most convenient for the passengers moving in the direction of the city station. Therefore, while reconstructing Vilnius Airport and transport premises, we are planning development that would make this connection with the airport even more convenient and, at the same time, more popular," explains Director of Vilnius Airport. Comparing the surveys carried out in 2011 and 2018, a slight decrease in popularity of taxi has been observed despite attributing the ridesharing services Uber to those of taxi. In 2011, 14 percent of the respondents chose the taxi available in the terminal for leaving the airport and another 12 percent planned to make a phone call for a taxi. This year, these indicators dropped to 9.5 percent and 10.6 percent respectively. The survey conducted in 2011 showed that more convenient routes (44 percent) and frequency (30 percent) would encourage passengers to choose city buses more often. This autumn, the visitors of Vilnius Airport were asked to rank the available means of transport (in terms of convenience, quality, price, etc.) on a scale from 1 to 5. 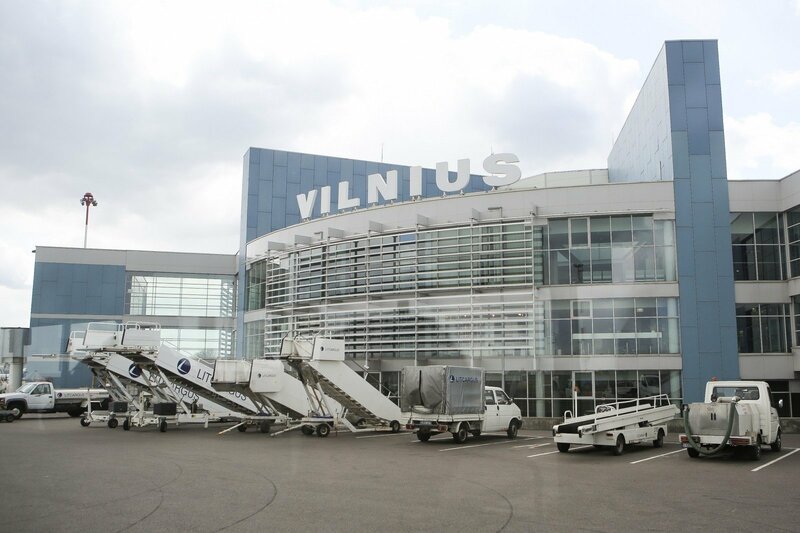 About 81.6 percent of the respondents awarded 4 or 5 points to public transport with regard to connection with Vilnius Airport. The average evaluation equalled 4.1 points. * The survey of passengers in Lithuanian Airports conducted this September focused on habits of 1,005 passengers from Vilnius, 609 passengers from Kaunas and 501 passengers of Palanga airports. The majority of respondents travel by plane 2-3 years per year. ** In November 2011 the survey of the passengers arriving at Vilnius Airport was conducted to identify their travel behaviour. The survey included 1,030 airport passengers; the majority of them travel by plane 1-3 times per year. 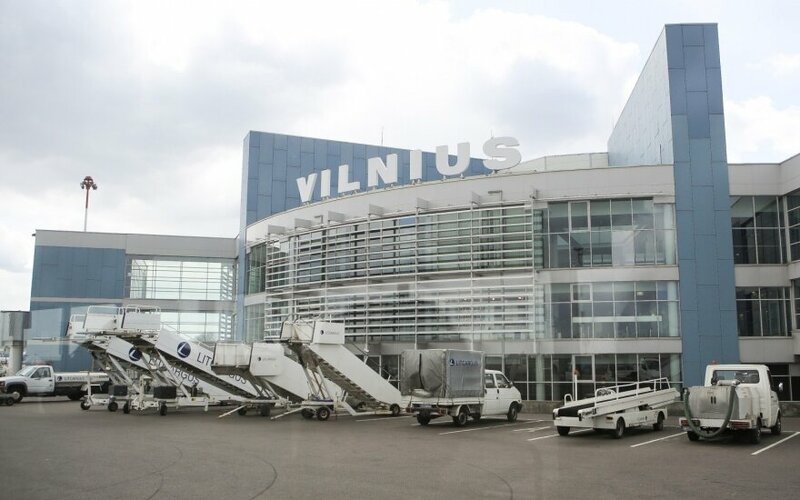 Vilnius Airport belongs to the Lithuanian airport network that operates three airports in Vilnius, Kaunas, and Palanga. During 2017, they serviced 5.2 million passengers and 55 thousand flights. During the winter season, 15 airlines organize direct flights in 65 regular directions to 56 cities in 26 countries. Based on the data of the Airports Council International (ACI Europe), Lithuanian Airports contribute to the Lithuania's GDP by 2.5 percent.